What are your favorite drills/games to practice serve receive? I see that question, or a variation of it, regularly. Here are a couple of different drills I’ve used, or seen over the years. The names are either what I heard them called, or ones I came up with myself that described them. Feel free to change them if you like. 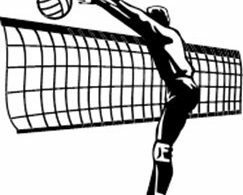 1-2 Serve & Pass is one that lets at least one of your servers be aggressive, but without the problem of having lots of missed serves or one passer not getting many balls. 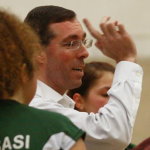 If you have a large number and want everyone involved, 2-sided Serve & Pass is an option. I actually prefer the Get-2 variation, though, as it gives weaker passers more reps.
A drill that focuses on individual rather than group passing is 8-Person Serve & Pass. This is something that is good if you have a bunch of players to involve. It is also well suited for a more controlled serving and passing set up as it features one server going to one passer. It’s an extension on the idea of Passing Triplets. I personally like to make things competitive as much as possible. To that end, I often look to do servers vs. passers games. They do not provide the highly focused individual repetitions of the two drills noted in the paragraph immediately above, but they do offer lots of more game-like ones. In this post and this other one I wrote about a couple of different ways to think about scoring such games. The trick is to find a scoring approach that is fair for both sides. This is especially true when you do something like pitting your primary passers against non-passers. If you play a more mixed game (passers equally distributed on both teams), then you can use aggregate scoring. 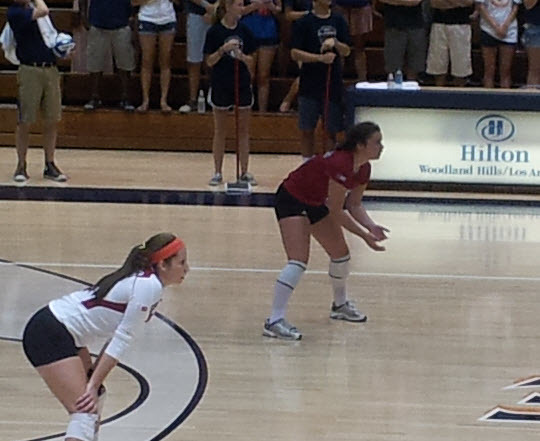 Each team has a turn passing and serving. Their final score is the combination of the points they earned in each role. That way, even if there is an imbalance in how points accrue (for example, the scoring tends to favor the passers), both teams will get it when it’s their turn. Here’s something to think about, though. 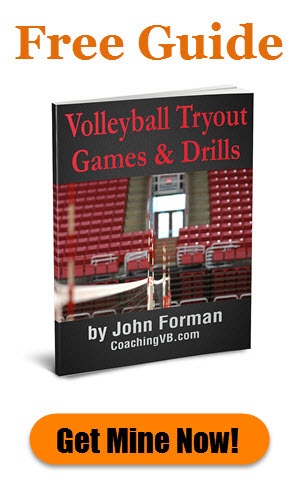 Literally, any drill or game that includes serve reception can be a good way to practice it. You don’t need a new drill for that purpose. 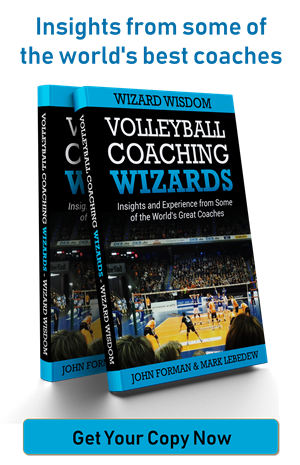 You simply need to make sure serve receive is a key focus and gets specific feedback. And realize that the quality of the pass is one big form of that feedback. To that end, small sided games like Winners, Speedball, and Player WInners offer the opportunity for lots of serve reception practice. Thinking more 6 v 6, there are games like 22 v 22 and 2 in 2 which include lots of team serve reception repetitions – especially if you allow for re-serves on misses. Game-like reps will always be better than ones that don’t replicate game situations. Even still, to get the most out of them they require focused feedback on the skill. It’s not enough just to let them play.